"For me, prayer is a surge of the heart; it is a simple look turned toward heaven, it is a cry of recognition and of love, embracing both trial and joy." Help us pray for your specific situation by filling out the online request form. Every request sent to us receives loving, compassionate attention. The Servants of the Pierced Hearts of Jesus and Mary and the Carmelite Fathers and Brothers will pray daily for your intentions. Users are limited to submitting one request every three days; each request is limited to 150 characters. Due to privacy, please, do not use last names, use initials. All requests are reviewed for content; when approved they will be posted on the website for the public to view. Prayer requests will remain active for 30 days. The Archdiocese reserves the right to deny any posting on the Archdiocesan Prayer Request section that does not adhere to the teachings of the Catholic Church at its sole discretion. Insults, use of ethnic slurs or personal insults, obscenities or any conduct that is objectionable to the Archdiocese of Miami or the Catholic Church in general are not acceptable. Minors should seek parental permission before submitting a post. All comments submitted will be reviewed and may be edited before being approved by the Communications department. Do NOT use your or anyone's last names. We recommend using first name only or initials. Do NOT post e-mail addresses, phone numbers, etc. in the body of your message/ prayer intention. Requests with full names or other identifying information will not be posted. This is not a chat room; please do not include notes to other petitioners. Avoid making accusations about others' faults, sins, etc. Avoid CAPITAL LETTERS. They are difficult to read. Inappropriate prayer requests will not be posted. Links to external Web sites will not be posted. You agree that you are responsible for any postings/ comments you make, and for any consequences thereof. You agree that all postings/ comments will be in compliance with all applicable local, state, national and international laws, rule and regulations. The Archdiocese takes no responsibility for third-party content nor does it have any obligation to monitor such third-party content. By submitting or posting content ("Content") you grant the Archdiocese a worldwide, non-exclusive, royalty-free license to reproduce, publish and distribute such Content without further notice or compensation. You represent and warrant that you have all the rights, power and authority necessary to grant the rights granted herein to any Content and you will defend, indemnify and hold harmless the Archdiocese from any liabilities, claims or damages arising as a result of your posting. 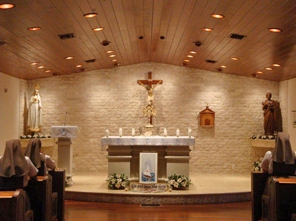 Your Prayer will be submitted to the Archdiocese of Miami for approval and then published on the web site. While your First name will be published, telephone and email addresses are contact references that will only be used by the Archdiocese. They will not be shared with third parties.